Click Susan B. Anthony Dollars for purchase information. The Susan B. Anthony dollar coin provided firsts to the American circulating coinage. It was the first coin to include the image of a real historical female figure instead of the female Liberty figures on earlier coins. The Susan B. Anthony was also the first dollar coin with a diameter roughly one-third smaller than the earlier dollar coins (26.5 mm versus 38.1 mm). While the Susan B. Anthony dollar presented firsts, she also delivered much controversy. Before ever being produced, there was disagreement in Congress about the design. Several wanted another iconic image of Liberty on the coin, but women’s groups of the late 1970s lobbied strongly for the suffragette. Worried about future votes, Congress eventually approved the Susan B. Anthony choice for the dollar coin’s obverse. The controversy did not stop there. People had argued for the dollar coins since the coins would last much longer than the dollar bill. As a result, the US Mint was authorized to produce many millions of these Susan B. Anthony dollar coins to replace the dollar currency over time. In 1979 and 1980, the first two years of the Susan B. Anthony dollar, the US Mint produced over 800 million of these dollar coins for circulation. But, the general public hated the new dollar coins. Slightly larger than the quarter but with a distinctive rim design, people still confused the Susan B. Anthony dollar coins with quarters. Plus, they didn’t appreciate paying $0.75 more for items because of the confusion. As a result, the US Mint became a warehouse facility for the Susan B. Anthony dollars. Since banks did not want the dollar coins, the Federal Reserve was not ordering them from the mint. Though for the next year, 1981, the US Mint did make more of the Susan B. Anthony dollar coins but only for collectible proof coin sets and uncirculated coin sets. With their massive stockpile of dollar coins, the US Mint stopped producing the Susan B. Anthony dollars even for collectible sets after 1981. During the next few years, the vending industry increased the number of machines that could accept the dollar coins. Plus, people in Congress resurrected the “dollar coins last longer than dollar bills” argument. In December 1997, legislation once again granted approval for a dollar coin, but it had to be different. The size had to remain the same for use in the machines, but the look had to be different to minimize the confusion with the quarter. 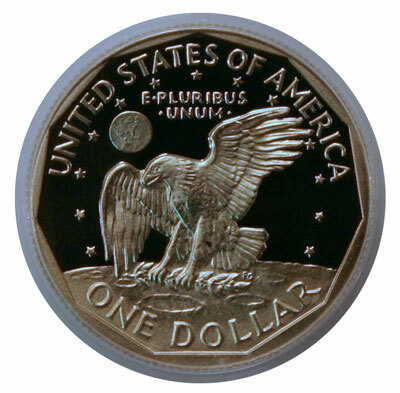 After metal research and design efforts, the US Mint would deliver the new dollar coin in 2000. In the meantime, the US Mint’s stockpile of Susan B. Anthony dollar coins became depleted to the point that unless more dollar coins were minted in 1999, the increased demand would exceed their dwindling supply. In mid-1999, the Director of the Mint announced the production of new Susan B. Anthony dollar coins for the first time since 1981 and for the last year the coin would be minted. There would be collectible versions of the Susan B. Anthony dollars in addition to the coins for circulation. But, the dollar coins would be separately packaged and not be in either the full proof set or the full uncirculated set. The US Mint chose a blue plastic box for the proof dollar coins, and the two uncirculated dollars would be in their own Susan B. Anthony Uncirculated Coin Set. With that background information, what is the conundrum? The conundrum raises questions not answers. How many collectible Susan B. Anthony dollars were produced and sold in 1999? How many single 1999 proof dollars were sold? How many Susan B. Anthony two-coin uncirculated sets were sold in 1999? The Red Book (A Guide Book of United States Coins 2012) does not show numbers for either the Susan B. Anthony proof dollars or the uncirculated Susan B. Anthony mint sets. From their 1999 press releases, the US Mint set limits for both types of collectibles. The Susan B. Anthony proof dollars were not to exceed 750,000 while the uncirculated sets were limited to 1.2 million. But, by early November 1999, the US Mint had sold 141,000 uncirculated sets and 205,000 of the proof dollars. What were the final sales totals? Numismatists pride themselves on the details. It’s interesting that the 1999 proof and uncirculated quantities remain elusive for the Susan B. Anthony dollar coins. Perhaps the coin ended its lifespan as it started, in controversy. 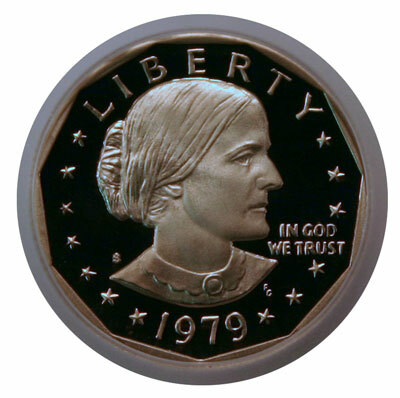 Note: you can view the 1999 Susan B. Anthony mint set on our main web site. Previous Previous post: More from Welcome to Coin Collecting!